Summer is finally here – time to sit back and relax – with summer activities, trips, and FUN! Naturally we are preparing the next half year of presidency with our dear Board 2017 and all our wonderful members – we are very happy to see the number of interested candidate members and hope you are all motivated to stay with us for a longtime! We congratulate our dear (Past President 2015) Kamil Mroz on becoming a father, and Simona Scaringi who will become a mother beginning of August (Vice President 2017). We are very happy to announce, Johan Bex and Sara Minarini who are participating on the European Academy 2017. 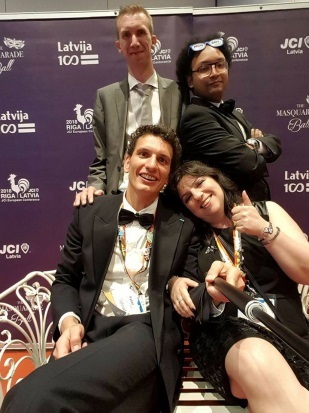 I need to say Sara Minarini made very big steps towards successful self-development year and I’m very happy to have her and all the other members in the Board. Sara is the best networker of 2017, without her it would had been difficult to get so many new members. Thank you for this engagement! 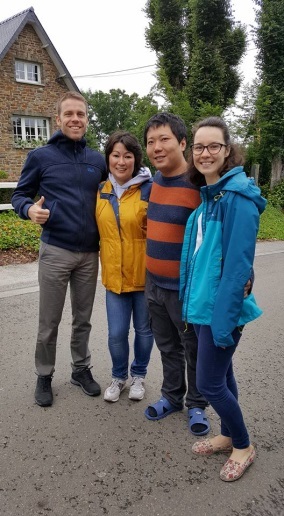 Katinka Meszaros as our European Capitals Meeting Director, made our year perfect, as Vincent Estrade too who helped all the team to get what we need on time, next to his studies which were very time consuming, and he helped us perfectly. 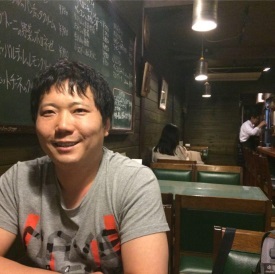 J THANK YOU! Constant Thiolier as a wonderful Minute writer J and our dear VP Simona Scaringi, who is always with us with her heart and power, also with the baby!! Thank you for this! 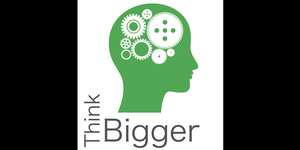 This year Think Bigger wants to make a real impact on entrepreneurship. With our baseline “Stop talking, Start doing!” we are targeting the would-be entrepreneurs who just need that little push to start with their business. Our event will confront them with their last arguments not to jump, because jumping is all it takes to start. 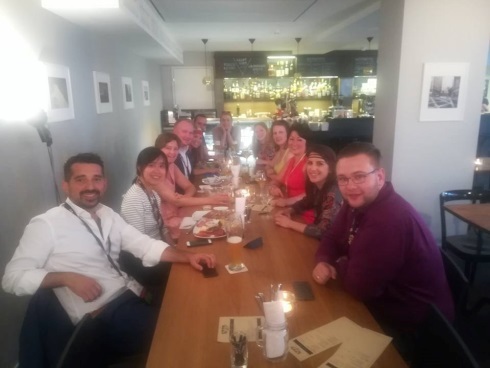 We as JCI THOE participated also to the European Conference in Basel. 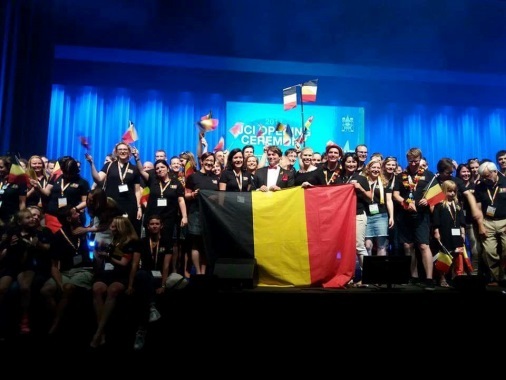 120 Belgians were in the same Dorint Hotel… excellent experience to meet all Belgian members! Thank you Marijn Laethem who organized it perfectly!!! What it was for a nice Summer activity!!! We were around 35 people, most of them from Wallonia, one from JCI Bruxelles and 4 people from JCI THOE! 09.06. 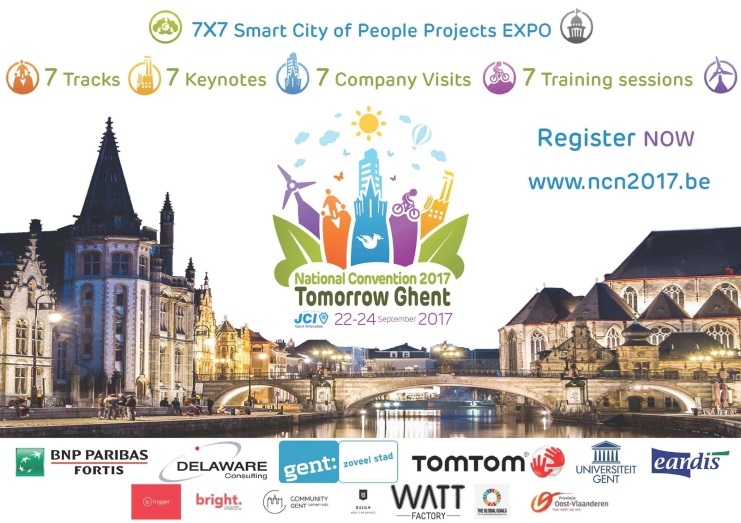 – 10.06.2017 – Zimmervation, the JCI Flanders Congress, took place on 09-10 June 2017 in the city of Lier in Belgium. 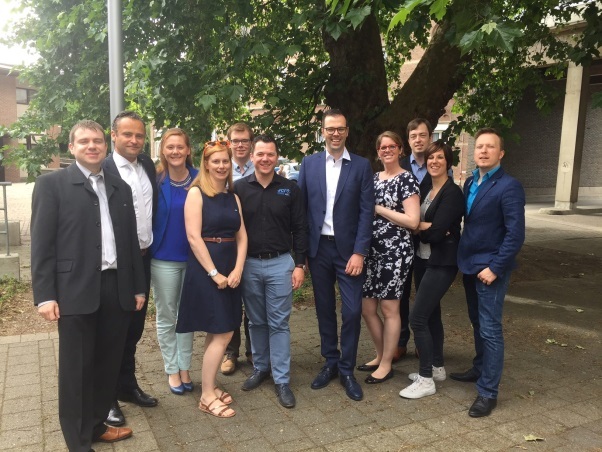 JCI Flanders, JCI Lier and their partners joined forces to find out how to interact with a vast audience. The program started on Friday June 09th with a “Get Acquainted Party” and has continued on Saturday June 10th with workshops and trainings on the latest developments in society; consumerism, technology, human resources, management, nutrition, health, industry, mobility and human interaction. 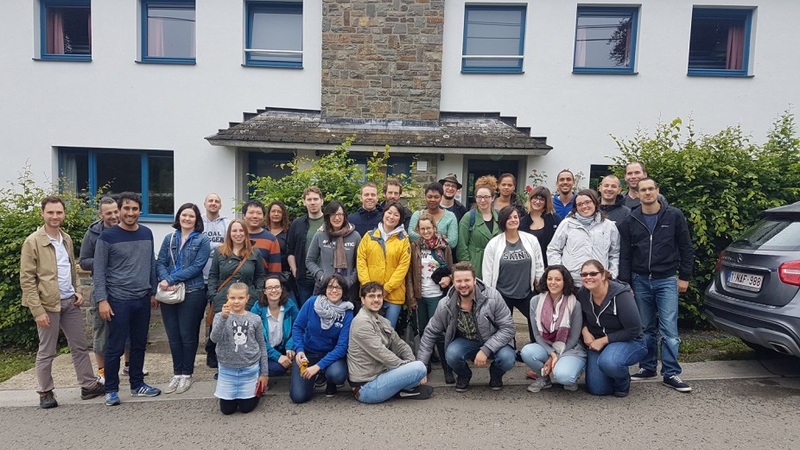 The purpose of the program was to let participants immerse themselves in a way in the field of innovation, that they have never experienced before. The congress ended with a Gala dinner and an award ceremony. We strongly wish to these amazing eleven Jaycee friends, a big good luck for their job in 2018! 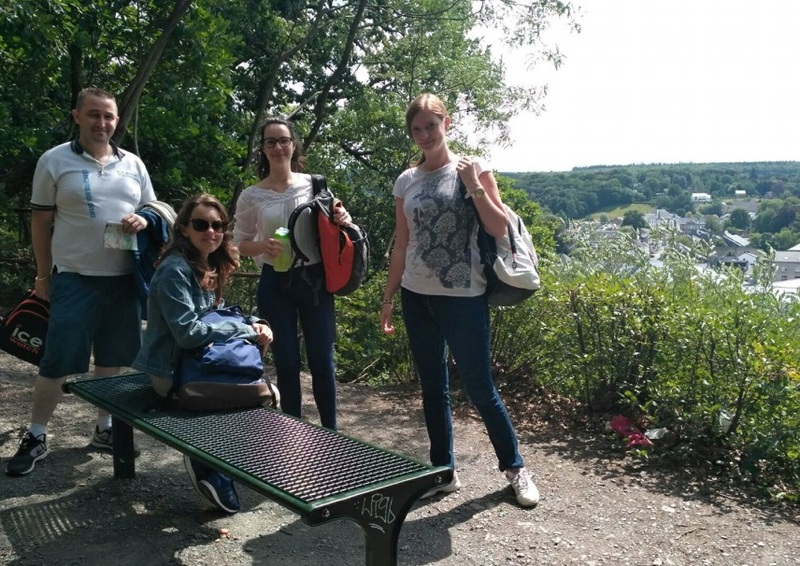 Simona Losmanova and Alexi organized a day trip to Spa with our members. Thank you for this wonderful experience!! what kind of expression would best reflect your deepest needs and desires? If so, this workshop will help you get started with answering these important questions and triggering your mind to think of ways to bring your life purpose from paper – to reality. To “live your purpose” means that you’re doing what you love to do, doing what you’re good at and what’s important to you. When you are “on purpose” you’re fulfilled and naturally attract resources and opportunities that you need. For making your reservation by Eventbrite click here. To find the event on Facebook click here. Increase your attention span, memory and focus, enhance your creativity (your out-of-the-box solution finding muscle ), develop your ability to regulate your emotions, Improve your relationships. (Whereas stress narrows your perspective and that of your team, and reduces empathy, negatively impacting performance), Maintain a better life work balance and take care of your health! 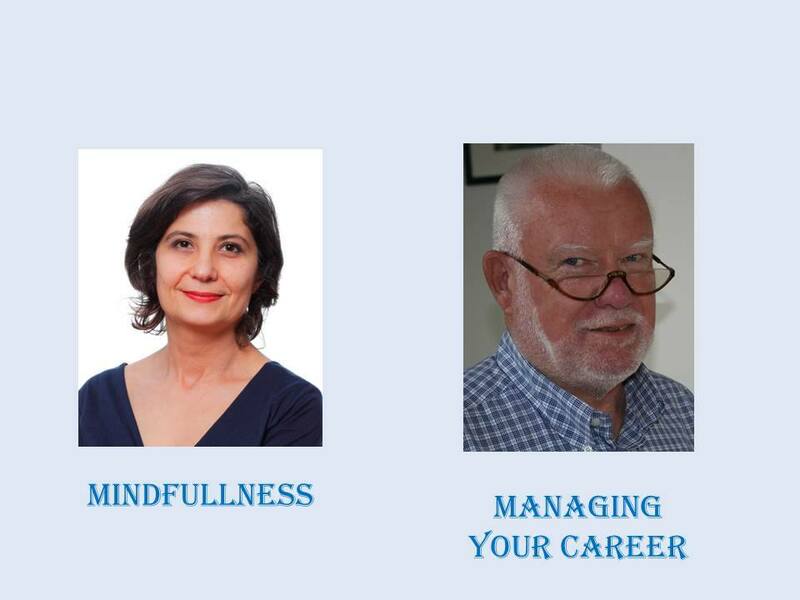 During this workshop we’ll discover how Mindfulness can help you and experiment Mindfulness through exercises. Managing your career is YOUR own responsibility, not your employer’s ! Once you take the responsibility for your future, you must ask yourself: where I want to go, with what purpose and what kind of vision of life am I going to achieve? Do you feel prepared enough to express your long-term goals clearly and concisely? If not, there’s no issue because you are going to receive dozens of tips from our mentor which will help you in designing the image of your future self and, at the same time, the ideas of projects you want to lead in order to achieve your personal objectives. 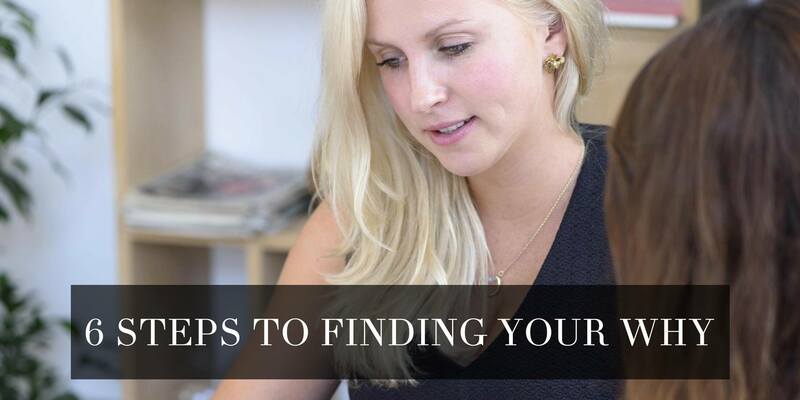 What we want to tell you, is that you will leave the workshop with a better view of yourself, your long-term goals and of course, you will leave with the right tools in hand to complete what you desire in the next period. More info on our Facebook event link here. 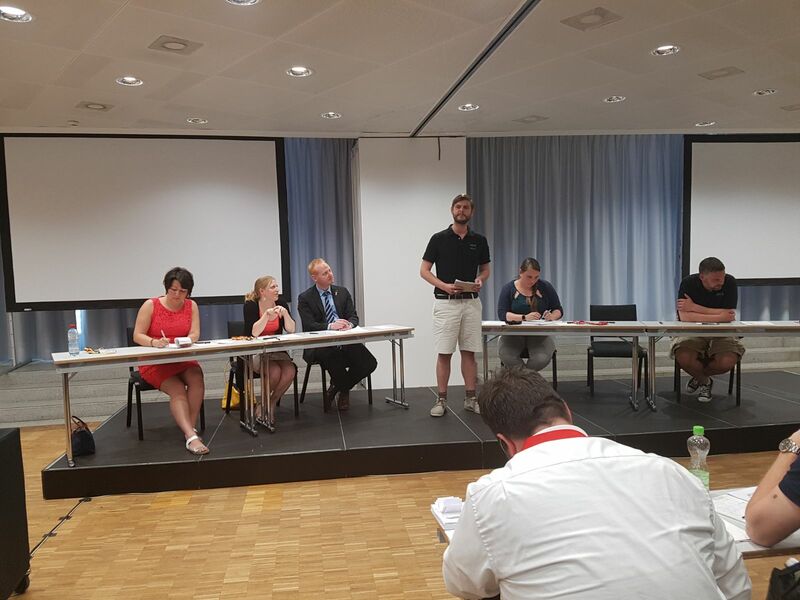 JCI THOE is organizing a Debating Workshop on the 7th of October, preparing the members of the Belgian Delegation for the Debating Competition, which will take place during the World Congress in Amsterdam. It is a full day workshop – in the morning we’ll learn the theory and examples – and in the afternoon a simulation of a competition, leaded by the trainers Serge Goussaert and Sylvie Micholt. Participation is open to a maximum of 24 participants (8 groups of 3). If you register alone, we’ll be pleased to organize a group in your language for you! Please book your place here! ATTENTION! For the competition in the afternoon, you need to be in groups of 3 people! We would like to finish the evening with a dinner at Brasserie Merode around 6.30 PM. Participation fee is 25 euro including coffee and lunch. It is necessary to book your place in advance. Please find hereunder the program of the day and the link to the registration page. 14.00 Starting debating competition; 15:30-15.45 Coffee break; 17.00 Conclusion of debating with price for winner; 15.45-17.00 End. Please fill the doodle for the restaurant here. Find our Facebook event link here. At the JCI European Know-How Transfer in Brussels, Belgium, JCI members have the opportunity to communicate directly with European Commission officials and Members of the European Parliament (MEPs), thus strengthening personal contacts and increase mutual understanding between politicians and the business community as well as the civil society. Each year, keynote speakers from the Commission as well as high ranking politicians from the European Parliament, explain their views on pressing European issues. In 2017, a particular focus will be placed on integration of refugees in the European Labor Market. Please note that this event is exclusively for JCI members and that registration via the link is needed to be accepted as a participant. You can read more about the event and expectations on our website. The 2017 edition of the Belgian Parliament Experience will start with a nice dinner at a nice restaurant in the City Centre, where the delegates will get a chance to unite and talk about the expectations for the coming days. The following two days will be shadowing the Belgian politicians, informal dinner for the participants Tuesday evening. The programme finished with a reception hosted by JCI Belgium in the Belgian Parliament. 23.10.2017 – Elections of JCI THOE BOARD 2018!!! We wish all members good luck with your powerful applications!!! Take part on our General Assembly on Tuesday, 19.09.2017! Save the date! Have a great rest of holidays, and please take advantages from all workshops and meetings!! !